Moist. Woods. Partial sun to full shade. The stems are hairy. The plant has no discernable anise odor. 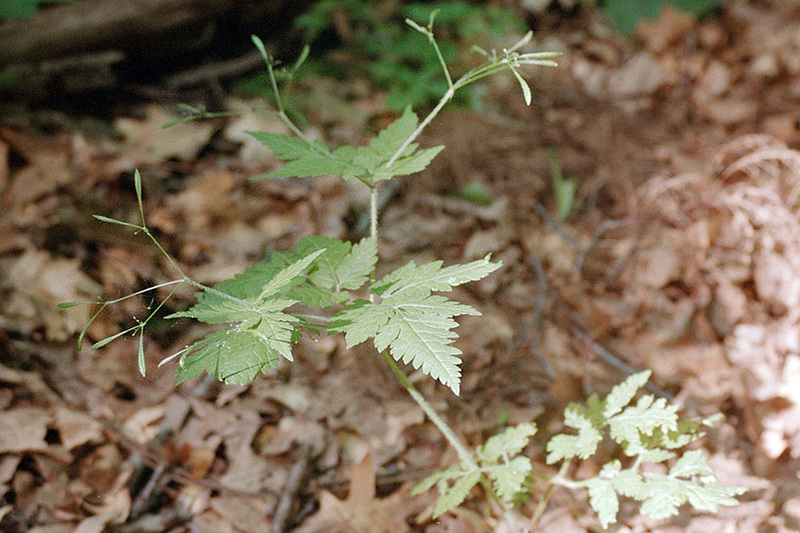 In early spring the young stems are densely covered with short, spreading, white hairs. The styles are shorter than the petals, no more than 1.5mm long. In the inflorescence is an umbrella-like flower cluster (umbel). 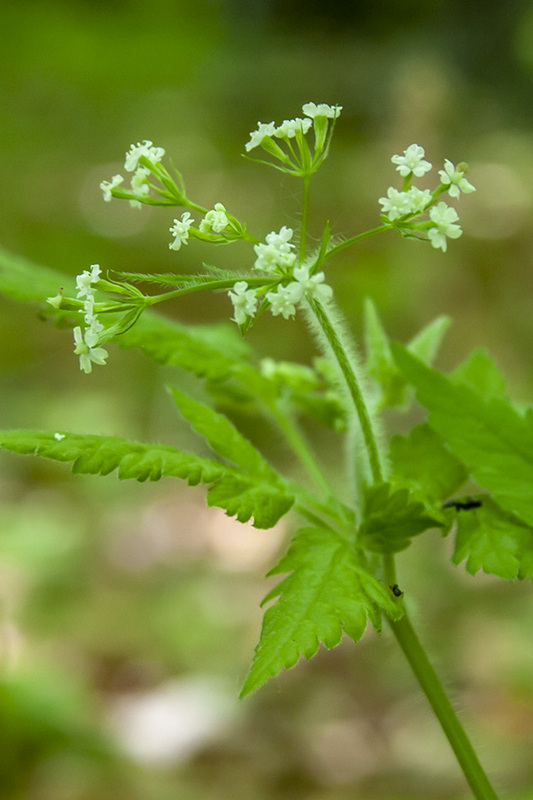 At the end of each stem in the umbel is another, smaller umbel, on which the flowers occur. 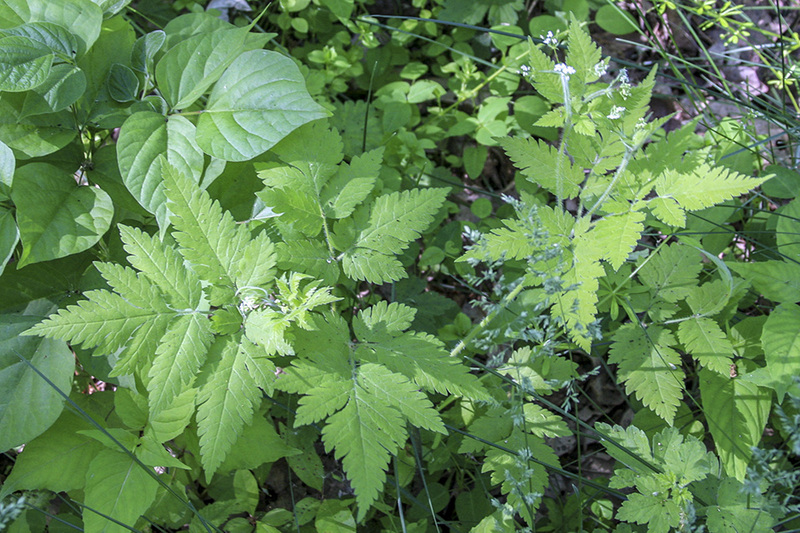 There is a whorl of bracts beneath this secondary umbel. 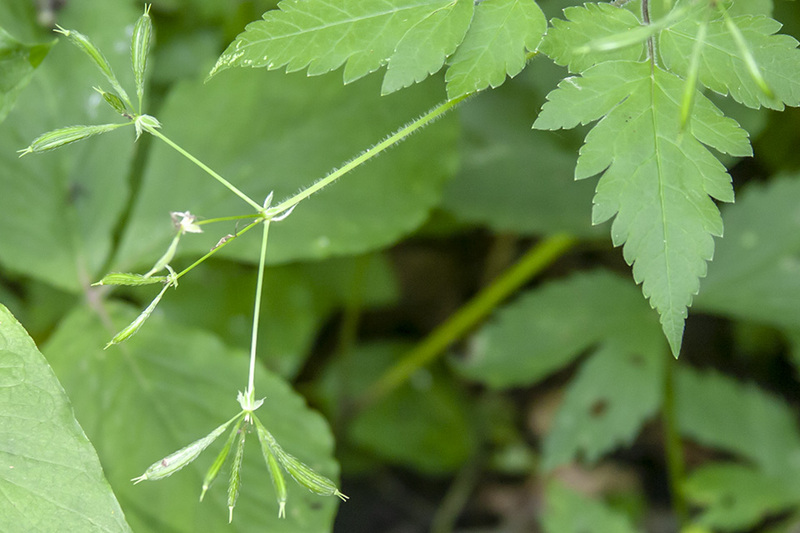 Aniseroot (Osmorhiza longistylus) looks virtually identical to bland sweet cicely, but has flowers with styles longer than the petals, 2mm to 4mm long, and smells strongly of anise. 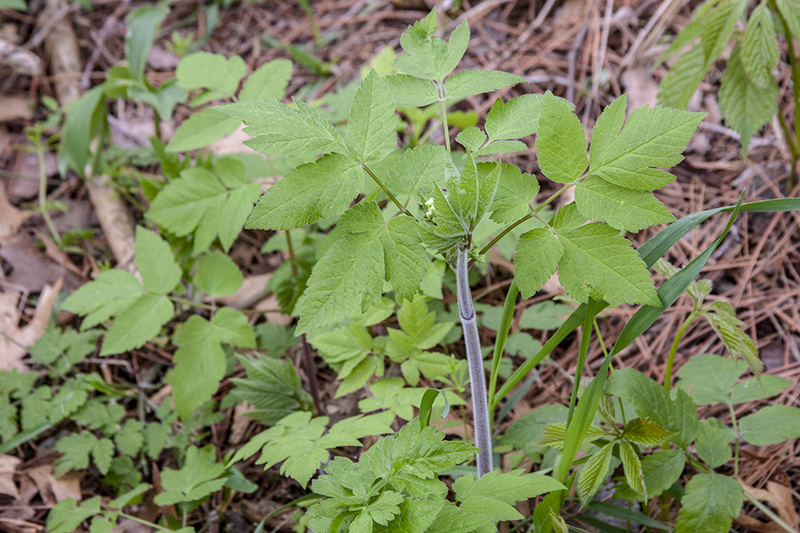 It has shorter hairs or no hairs on the stems. However, at least one study (Ostertag and Jensen, 1980) has concluded that the length of hairs on the stems of both species is variable between populations of the same species—is a continuum that overlaps that of the other species—and is therefore an unreliable indicator. 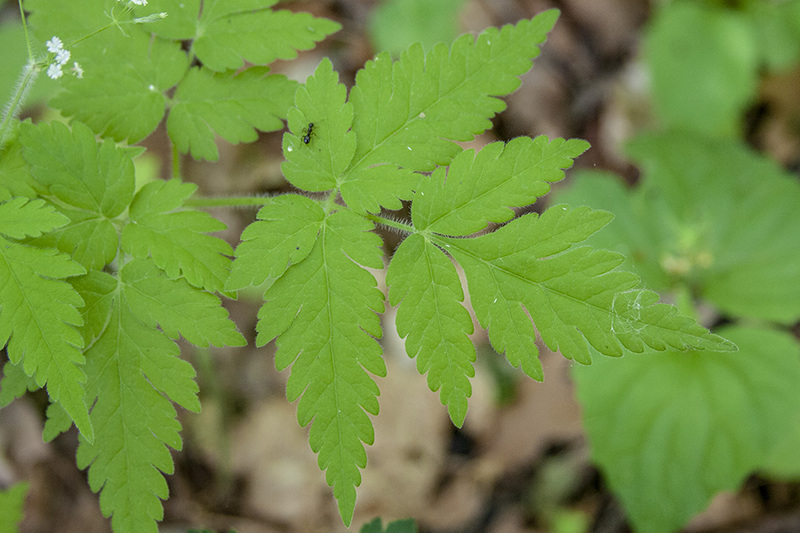 Blunt sweet cicely (Osmorhiza depauperata) has no whorl of bracts beneath the secondary umbel. 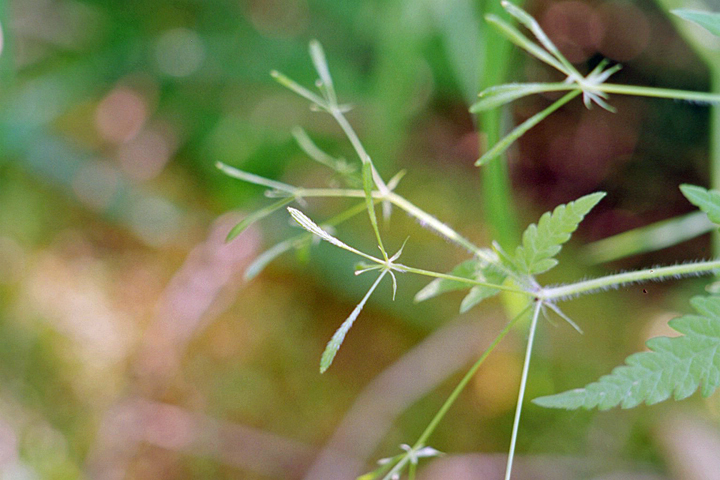 Modified leaves at the base of a flower stalk or flower cluster. 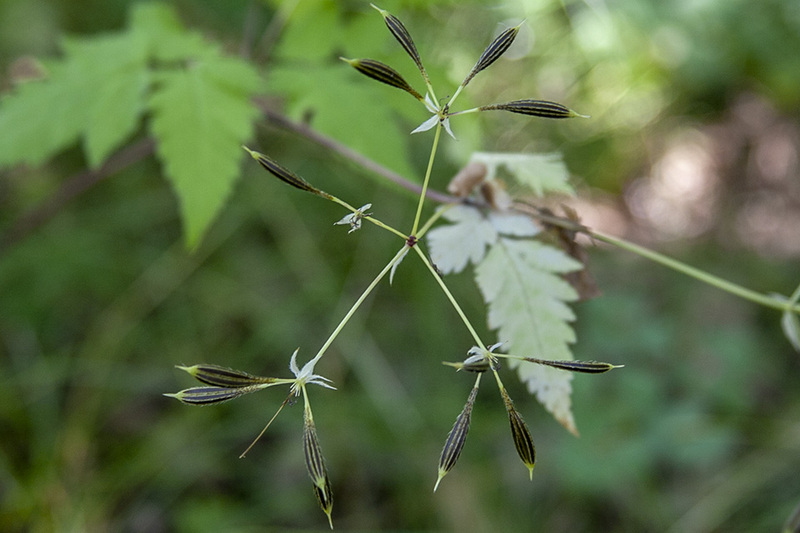 Umbrella-shaped cluster of flowers or buds arising from a single point. 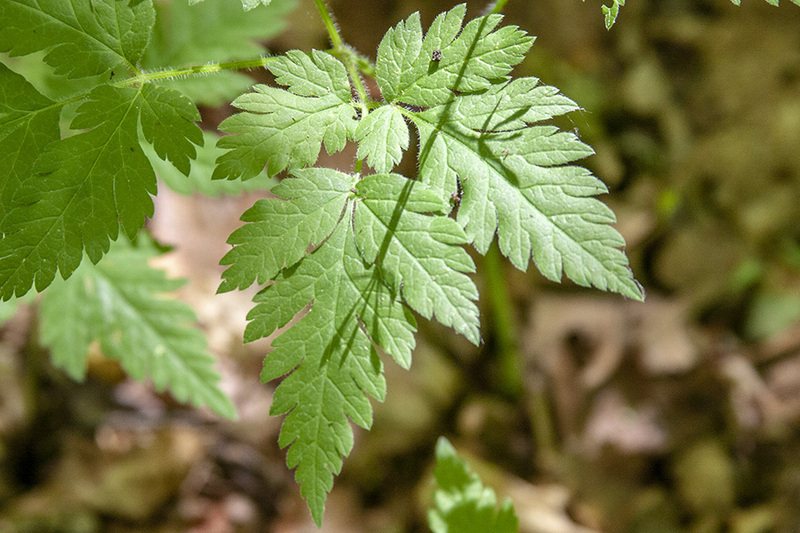 Part 4 in an ongoing series of documentaries on wild edible, medicinal, and toxic plants. 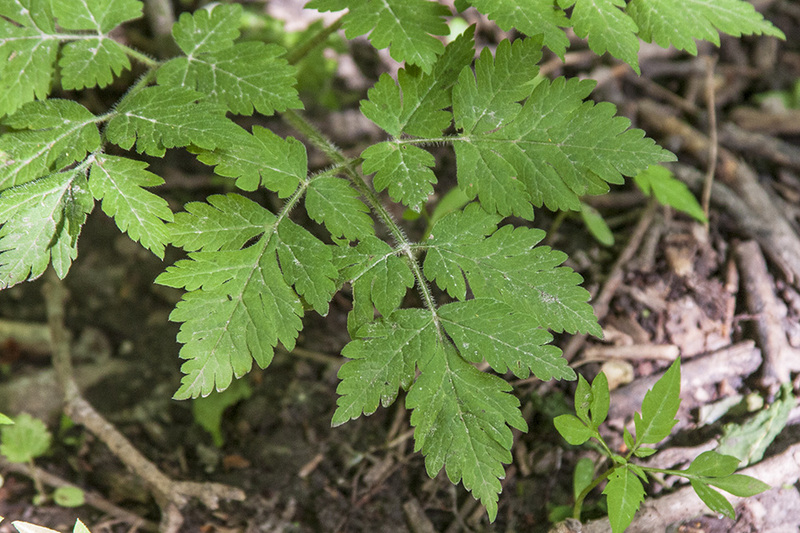 I'm covering "Sweet Cicely" and "Baneberry" with a focus on how to tell them apart from one another. All video footage is recorded by me on the GoPRO Hero 2. Some of the pictures taken from reputable sources on the internet.